It is hard to believe – like, incredibly difficult – that nibs etc. is now 1 year old. It genuinely feels like yesterday I was finding all the excuses not to start a blog, not wanting to add to the already saturated ‘blog market’, and don’t even get me started on the infinite – and ever growing! 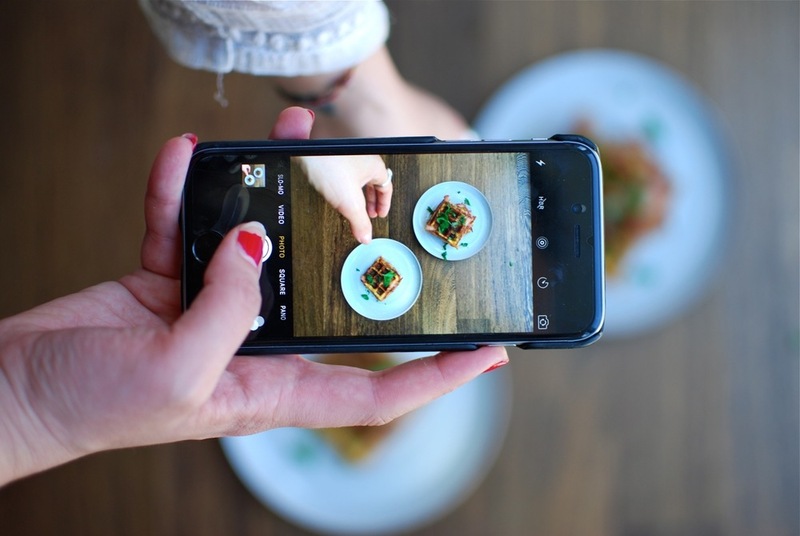 – food blog scene. And yet still, all the little voices were pointing in one direction, and all it took was a deadline, a god sister, a blog name and a dose of intrigue. Initially, nibs etc. was a way for me to direct all the energy and passion I had around food, into something productive. me to help direct my passion into something productive - not something I ever thought a blog could be. Yet this is what it has become. And if I'm honest, I also never truly expected anyone to read. Maybe skim. Glance quickly at the recipes. Take in few photos. But I felt a bit vulnerable imagining what if... And yet in the end, it is the most rewarding thing in the world to see someone remake a recipe, and share enthusiasm for something I live and breathe. There are no words I can find to thank all of you reading this right now. This, past, and future posts. It truly means the world. And so it felt only fitting, that for this 1 year anniversary post - albeit a week or so late - that it should be none other than the Frittaffle. 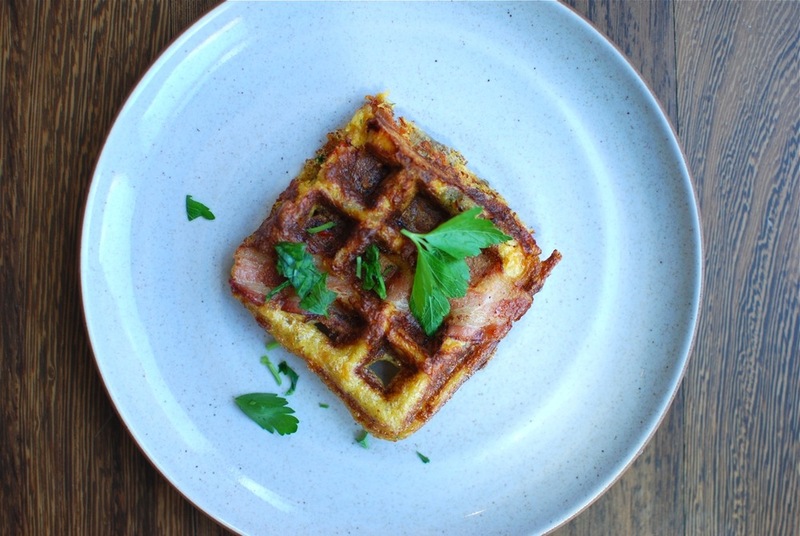 Because when your friends tell you "let's make brunch" and "we have a waffle iron" jut as Food Network happens to share 15 things you can make with a waffle iron... There is really only one thing left to do. So with all the love and gratitude that this recipe, that brunch, those friends, and you instill in me. LET US FRITTAFFLE. ps. with huge thanks to Real Food by Dad for coining the term and inspiring the recipe. nibs etc. recipe adapted from Real Food by Dad. Serves 9-10 / Makes about 18-20. Heat your waffle iron to medium high, and gently brush with canola oil. Start by prepping the veg: grate potato, dice red pepper and onion separately. Set aside in bowls of their own. In a sauté pan, start by heating 1 tbsp olive oil over medium high heat. Toss in the onion, season with salt and pepper, sauté until translucent and just cooked through. Remove from the pan, and add a second tbsp. of olive oil with which to cook the red pepper, again seasoning with salt and pepper, and sauté until softened. Remove from the pan and set aside. Heat the final tbsp. of olive oil and toss in the grated potato. Season with salt, pepper and sauté until the water pulled from the potato has evaporated, before removing from the heat and allowing to cool. Slice bacon strips in half so that you now have 20 halves, each about 3 inches long. Set aside. Grate the cheese into a separate bowl and set aside. Whisk the eggs into a bowl and season with salt and pepper. Once the veggies are cool, add to the bowl with the eggs and mix with a wooden spoon to fully incorporate. Chop up ¾ of the parsley and add to the eggs, along with 1 cup of cheddar. You are now ready to Frittaffle. Using a ¼ cup to measure, spoon about ¼ cup worth of egg mixture into each waffle section (I used a square waffle iron, with 4 'sections') . 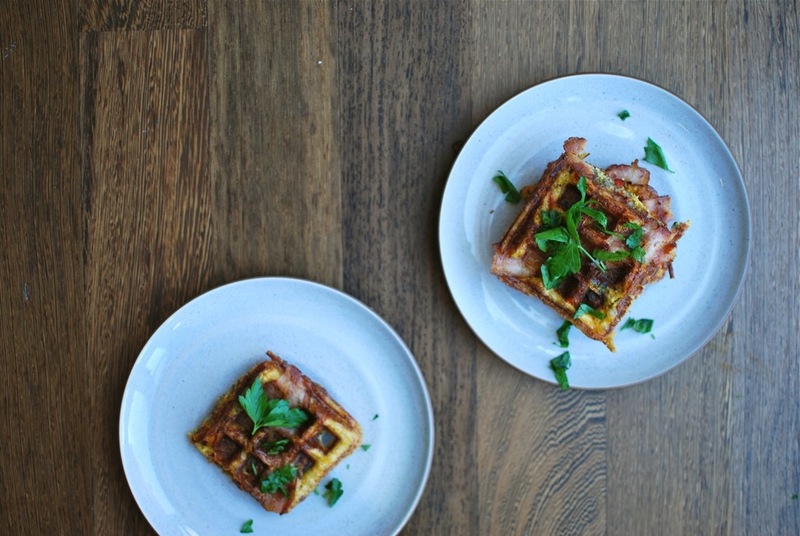 Quickly place a half slice of bacon diagonally across each waffle, sprinkle with cheese, close, and cook for about 2-3 minutes a side, until fluffy, bacon is cooked, edges are browning, and cheese and bacon fat are oozing everywhere. Did I not mention this was going to get messy? My bad. This is going to get messy. Serve with a sprinkle of leftover fresh parsley, and drizzle of maple syrup. Tuck into the best. Brunch. Yet. For breakfast, lunch, and dinner. Turn into a Frittaffle sandwich: toast 2 leftover frittaffles (in a toaster or pan, dry frying), and fill with rocket, onion jam and brie, or lambs lettuce and thinly sliced apple. Substitute any other veg you have lying around in your fridge, ex. squash, asparagus, shallots. Just be sure to grate any root veg, and pre - cook all veg until just softened.